Joseph Mitchell is an associate in the Chicago office of Lewis Brisbois and a member of the Healthcare and Medical Malpractice Practices. He focuses his practice in the area of medical malpractice defense. 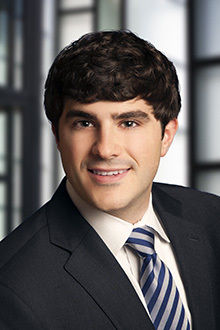 Prior to joining Lewis Brisbois, Mr. Mitchell served as a Law Clerk to the Honorable Frank B. Castiglione, Circuit Court of Cook County – Law Division, Commercial Calendar, from July 2012 to June 2013.